Carolyn Kilpatrick was the U.S. Representative for Michigan’s 13th congressional district from 1997 to 2011. Cheeks was born on June 25, 1945 in Detroit, Michigan to Willa Mae Henry and Marvel Cheeks Jr. Her father worked for the Ford plant and her mother was a beautician. Cheeks graduated from the Detroit High School of Commerce in 1963 and attended Ferris State University in Big Rapids, Michigan, receiving her Associates Degree in 1970. In 1968, She married her college sweetheart, Bernard Kilpatrick, and the couple had two children together, Ayanna and Kwame. Kilpatrick then attended Western Michigan University, located in Kalamazoo, and graduated in 1972 with a Bachelor’s of Science in Education. Kilpatrick began working in the Detroit public school system, teaching business education in 1972, while working on her Master degree at the University of Michigan. She graduated with an M.A. in 1977 and then taught at Northeastern and Southeastern high schools in Detroit, as well as the Philip J. Murray-Wright High School. In 1978, Kilpatrick was elected to the Michigan State House of Representatives, a position she held for eighteen years. In 1996 Kilpatrick was elected to Congress from Michigan’s 13th Congressional District. There she became the first African American woman to serve on the powerful House Appropriations Committee. From her seat on the Foreign Operations Subcommittee, Kilpatrick brought attention to health and economic issues in sub–Saharan Africa, securing more than $25 million for flood relief in Mozambique, Madagascar, Botswana, South Africa, and Zimbabwe. She is also the first African American member of Congress to sit on the United States Air Force Academy Board which oversees the program of the U.S. Air Force Academy. 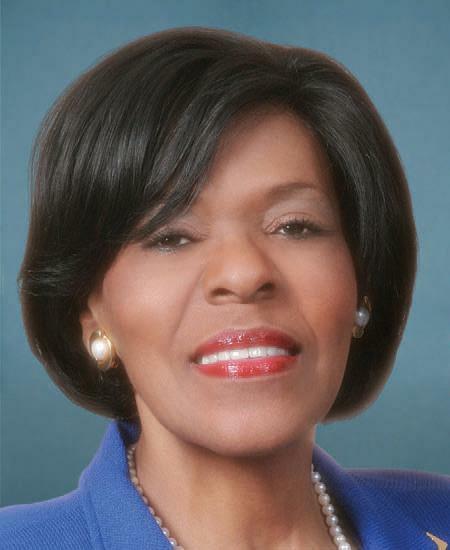 On December 6, 2006, she was elected Chairperson of the Congressional Black Caucus for the 110th congress. Kilpatrick is a member of the Detroit substance Abuse Advisory Council and the Delta Sigma Theta Sorority. In 2010, Kilpatrick was defeated by State Senator Hansen Clarke, and she retired from government service. Her decades long career was marred by her now former spouse and son both now serving time in federal prison. Emell Derra Adolphus, “Carolyn Cheeks Kilpatrick on Family, Career and Politics”, Blacdetroit.com, May 2015, http://www.blacdetroit.com/BLAC-Detroit/May-2015/Carolyn-Cheeks-Kilpatrick-on-Family-Career-Controversy/; Chad Pergram, “Mich. Rep. Kilpatrick Loses Re-election Bid in upset,” Foxnews.com, December 23, 2015, https://www.foxnews.com/politics/mich-rep-kilpatrick-loses-re-election-bid-in-upset; Brian Montopoli, “Michigan Election Results Mean End Of Kilpatrick Era,” CBSnews.com, (August 2010), https://www.cbsnews.com/news/michigan-election-results-mean-end-of-kilpatrick-era/.